Samford University will welcome about 60 educators from 22 area schools for its inaugural Character Education Workshop June 18 and 19. 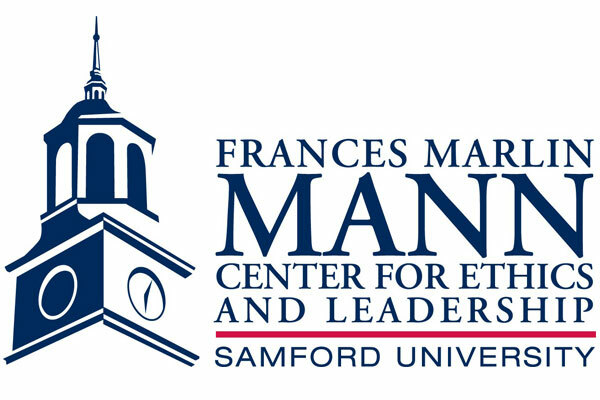 The event, designed to focus on the benefits of character education and help participants promote character development in their schools, is sponsored by Samford’s Frances Marlin Mann Center for Ethics and Leadership and Orlean Bullard Beeson School of Education. The two-day schedule includes presentations by educators who have led successful character education programs at all levels—elementary through college. Featured presenters include Sue Grogan, director of character education for Samford's school of education; Amy Johnston, a consultant for EducationPlus and Character.org; and David Keller, director of strategic initiatives for Character.org. Speakers also include Nabers, a former Alabama Supreme Court chief justice and State of Alabama finance director who is chairman of the board for Cornerstone Schools of Alabama; Jodi Newton, associate dean of the Samford School of Education; John McDonald, director of the Diocese of Birmingham’s Catholic Education and Lifetime Formation; and Kevin Walsh, former University of Alabama at Birmingham professor and founder of Alabama’s Youth Leadership Development Program. Session topics include the historical perspective and value of character education, examples of successful character education programs, 11 Principles of Effective Character Education as outlined by Character.org and considerations for developing programs. Thursday’s sessions will take place in Samford’s Orlean Bullard Beeson education building. Friday’s sessions will meet in the Federal Reserve building at 524 Liberty Parkway, Vestavia Hills, Alabama 35242. Grogan is former principal at Homewood’s Shades Cahaba Elementary School, which under her leadership became the first school in the nation to be twice named a National School of Character by the Character Education Partnership. Johnston is a veteran educator and principal of First Baptist Christian Academy in O’Fallon, Missouri. She has been cited for her work in character education and is a frequent panelist at conferences on the topic. Keller oversees professional development programs for Character.org. Previously, he led cadet character, ethics and leadership programs at the U.S. Air Force Academy, where he directed more than 120 seminars, including the acclaimed National Character & Leadership Symposium. He has also taught at Texas A&M University. Area schools and programs represented at the workshop by one or more educators include: Addiction Prevention Coalition, Brookville Elementary, Calera Elementary, Chelsea Park Elementary, Cornerstone Schools of Alabama, Diocese of Birmingham-Catholic Education and Lifetime Formation, John Carroll High School, Margaret Elementary, Montgomery Christian Academy, Moody Middle, Odenville Elementary, Our Lady of the Valley Catholic School, Restoration Academy, Rocky Ridge Elementary, St. Clair County, St. Francis Xavier, Scholarship for Kids, Springville Middle, Tarrant Elementary, Tarrant Intermediate, Tarrant High, The Capitol School and Vincent Elementary. More information about the workshop is available here.